As summer draws closer, I can’t help but start collecting pieces that will be perfect for the season. Aside from the number of swimwear I’ve already accummulated just the start of this year alone, I’ve also dived deep into a pool of fun and colorful printed clothes. One of which is this 70s inspired top from Neon Island. I had to have this top as soon as I came across it online. 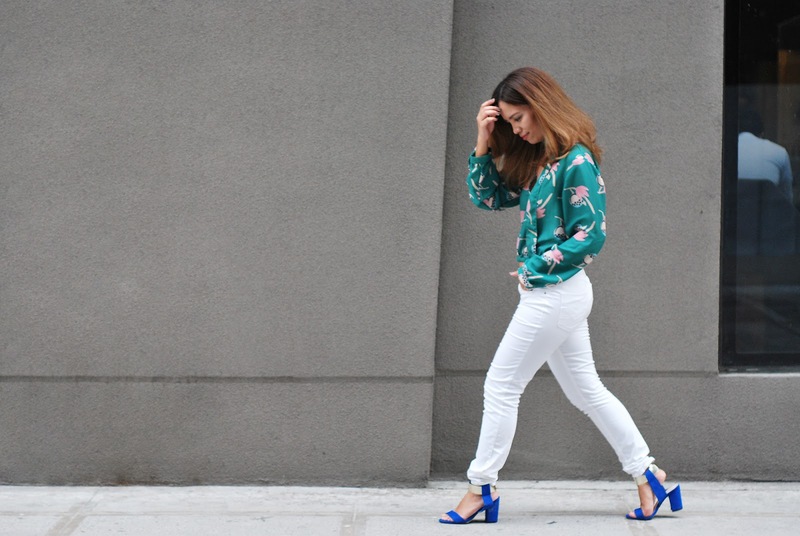 Veering away from the more predictable (but totally along my alley) flared jeans, I paired it with the more modern cut white skinny jeans to create a fresh look, and finished it off with my favorite blue heels. What are you looking forward to this coming summer season (summer for the Philippines, at least)?